Look your best in the kitchen with this contrast chef coat. 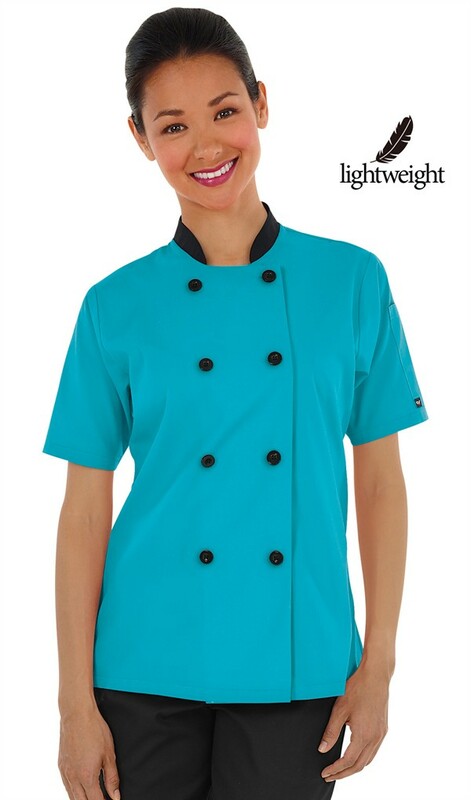 You'll love the comfort of our lightweight double breasted chef coat. 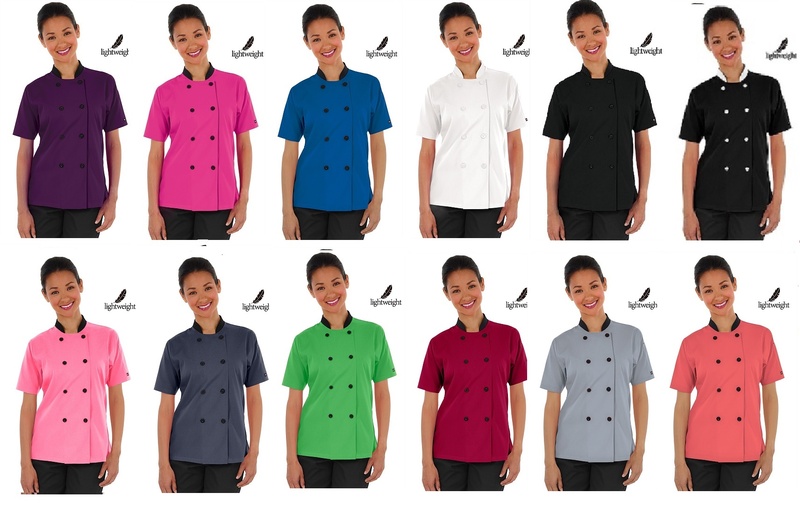 This women's chef jacket offers a tailored fit, short sleeves and durable plastic button closure. It also has an executive two piece back with back vent and a thermometer pocket on the left sleeve. 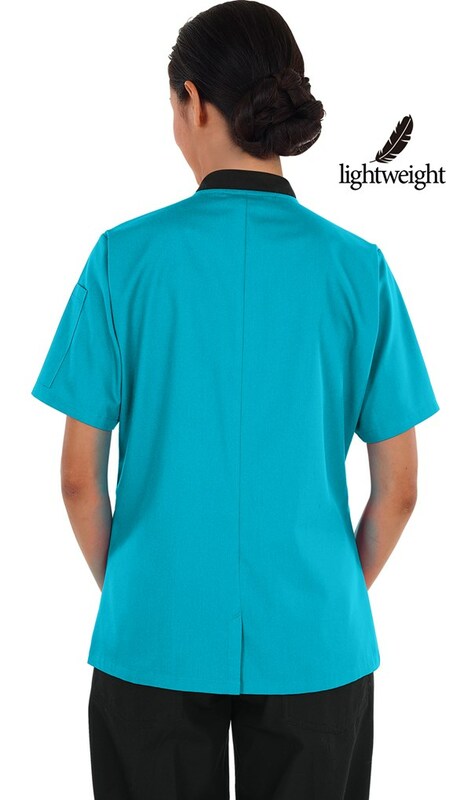 Easy care, lightweight fabric is 65/35 Poly/Cotton Poplin. Approximate length for size Medium is 26 1/2". 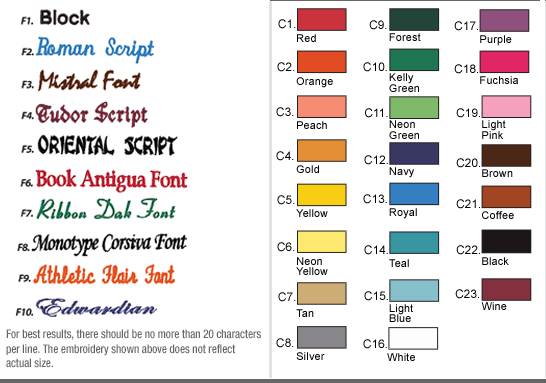 2nd row, left to right: Pink w/white; Granite w/black; Gecko Green w/Black; Sugar Berry w/Black, Light Grey w/Black and Melon w/Black.